Natural Origin Laboratory develops, manufacture and market an extensive range of natural household cleaning and personal care products. 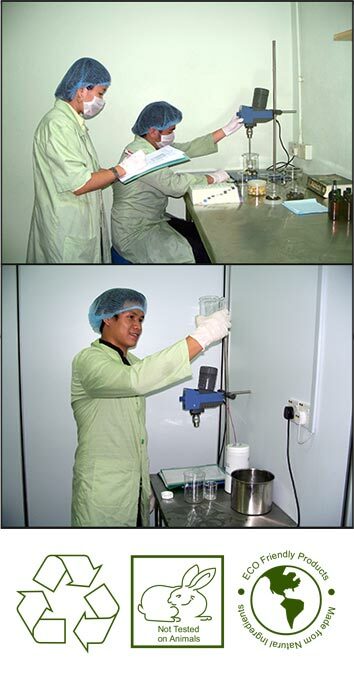 We develop safe and effective natural products. Our products are 100% toxic chemical free and biodegradable; our packaging is easily recyclable and made with recycled materials when possible. We abide by regulatory requirements. Our commitment to quality and our experience in processing natural substances for product manufacturing has established our position as a trusted company. Natural Origin takes great care in ensuring only the highest quality materials and environmentally friendly manufacturing processes are utilized. Research is integral in assuring the quality of all products marketed by Natural Origin. Natural Origin’s unique set of competencies combines science and processing expertise, enabling us to offer unparalleled service and creative product solutions. Our products are developed with the well-being of the consumers in mind. Our products do not contain the following chemicals commonly used in household products and cosmetics.